RBSC houses significant collections of rare books, archival materials, historic maps, photographs, broadsides and pamphlets. Our open resources not only support the research of scholars from UBC, but are also used extensively by members of the general public in British Columbia. Visit RBSC to experience these highlighted collections and more! 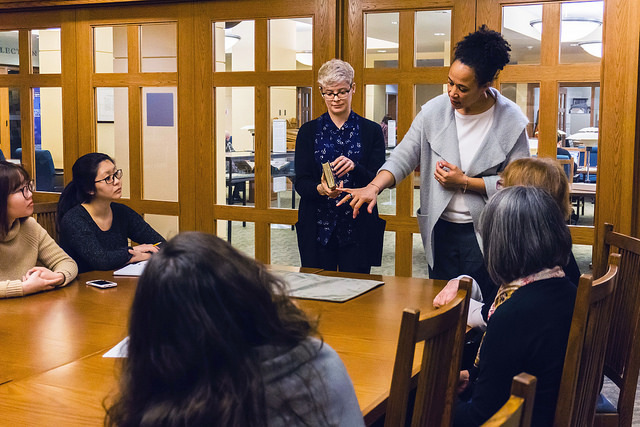 Students, faculty, visiting scholars, researchers, and members of the general public are welcome to view material in the Rare Books and Special Collections reading room in the Irving K. Barber Learning Centre. The easiest way to get acquainted with the Collections housed at RBSC is to attend a public tour, held every Wednesday at 11am.